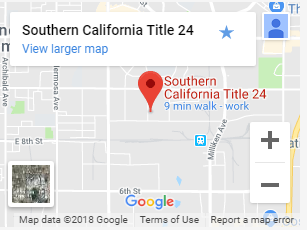 We are here to help out with any questions you may have about Title 24 reports. Reach out to us and we will respond as soon as possible. We know the process and understand it could be frustrating especially if you are not aware of the new requirements and standards. Rush delivery by email is $95, reports generated within 24 Hours (call to check availability and details first). 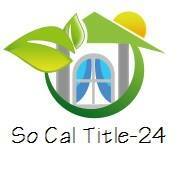 We offer offer FLAT FEE pricing (under 6,000 s.f.(. Our prices are the same for a new construction, remodel, addition, or alternation. If you have any questions about the 2016 title 24 reports feel free to contact us we would love to help! Call us Today (909) 257-7547.